With their urban-vintage styling Hot Tomato continues to gain a hugely loyal fan base of devotees and is fast becoming the go-to brand for the fashion savvy. Whether it’s about keeping cosy with their glorious wraps and scarves, or discovering your favourite everyday go-to pieces of jewellery, Hot Tomato Accessories will make you look and feel fabulous throughout this season. Founded in 2007 this clever little company’s guiding mantra remains as ever: ‘fashion with passion’ – a phrase that quite simply informs everything they do! This winter Joma have fallen in love with all things celestial creating one of their most spellbinding collections yet. Captivating crystal clusters with statement stars to sparkly studs ensure that they have winter covered! From the ultimate in sparkle to smooth silver charms, this season Hearts and Stars are Joma Jewellery’s must have for every wrist stack. The inspiration for their new “Life’s a Charm” collection comes from their on-going love of Rose Gold – Softly scattered crystals on smooth rose gold pendants are paired with sweet silver sentiment charms, to create one of our favourite collections to wear every day. This collection sees Joma Jewellery introduce a brand new look for their ever-popular “a little” cards collection with sweet icons and new designs that have given them a gorgeous lift to create the perfect gift or bracelet to collect and treasure. It’s going to be Joma’s most magical collection yet and with statement hearts to starry charms to celestial crystals and we think you’ll be mesmerised! Save 25% on all Danon Bangles – This Weekend Only! Stack’em High with 25% Off All Danon Bangles! Danon Bangles from Danon Jewellery are the classic accessory for today’s modern women. You can wear them alone for simple elegant style, but we find one is never enough, so why not layer or stack your Danon Bangles together and create your own unique look this season? Decorated and adorned with Danon signature hearts, pretty birds and dragonflies, fresh water pearls, angel wings and Swarovski Crystals, all Danon Bangles are made from pewter with silver, bronze or gold plating. 25% Discount already applied to qualifying items. Prices valid until midnight Monday 12th September 2016 or whilst stocks last. E & OE. 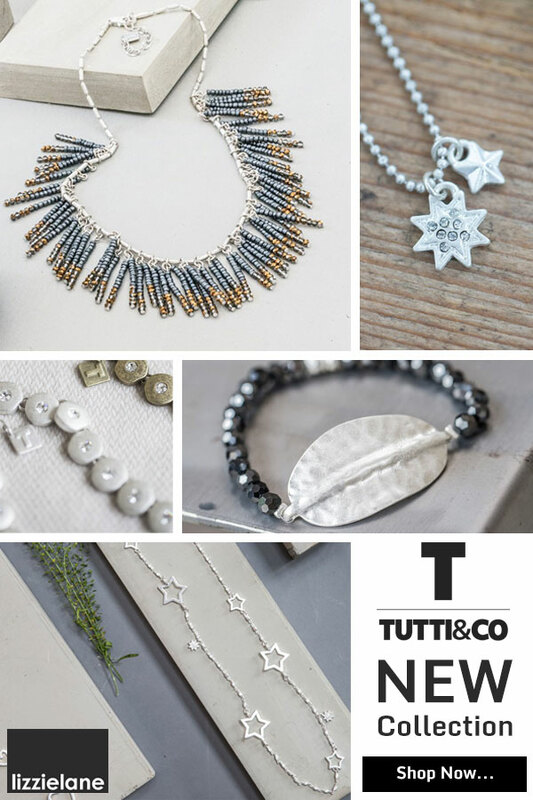 We’ve been working non-stop these past few weeks in order to be able to launch the brand New Autumn 2016 Tutti & Co collection today. 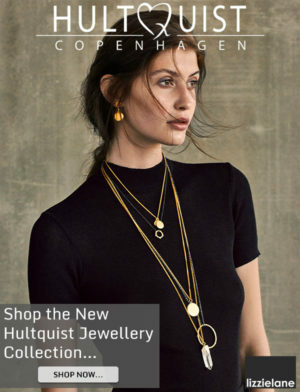 The fabulous new Hultquist Jewellery Autumn Winter 2016 collection has arrived – With 10% Off This Weekend Only! From dramatic statement pieces detailed with the most amazing oak leaf and maple seed pendants and charms, to ever-chic necklaces, bracelets and earrings adorned with Stars, Hearts, Coins, Constellation, Circles, Balls and Semi Precious Stones. P.S. Don’t forget you can save 10% when you shop any of the new Autumn Winter Hultquist 2016 Collection – This weekend only! Our Fabulous Summer Sale Starts Today with up to 70% off selected items! 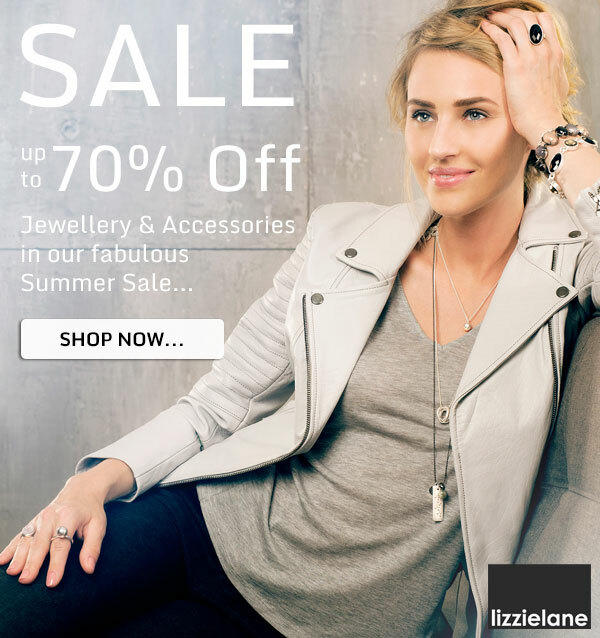 With savings of up to 70% on beautiful hand selected jewellery and accessories it’s time to grab yourself a bargain in the fabulous Lizzielane Summer Sale! Included are pieces from your favourite designer brands such as Danon, Estella Bartlett, Hot Tomato, Hultquist, Joma, Pilgrim, Sence, Tribe & Fable and Tutti & Co. But don’t hang about…With up to 70% off and Free UK Delivery available on all orders, stock is limited – Once it’s gone…it’s gone! Joma Jewellery was established in 2008, by Katie Loxton, to create and celebrate timeless beautiful jewellery that can be collected, worn and loved again and again. 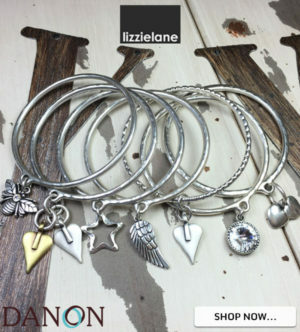 Their jewellery is designed to be worn as well as loved and the collection at Lizzielane is a “scrumptious and affordable mix of fresh new designs and timeless sophistication”. This season’s collection from Joma features precious necklaces, bracelets, earrings and rings that will make you feel and look beautiful. Free Fast 1st Class Delivery! 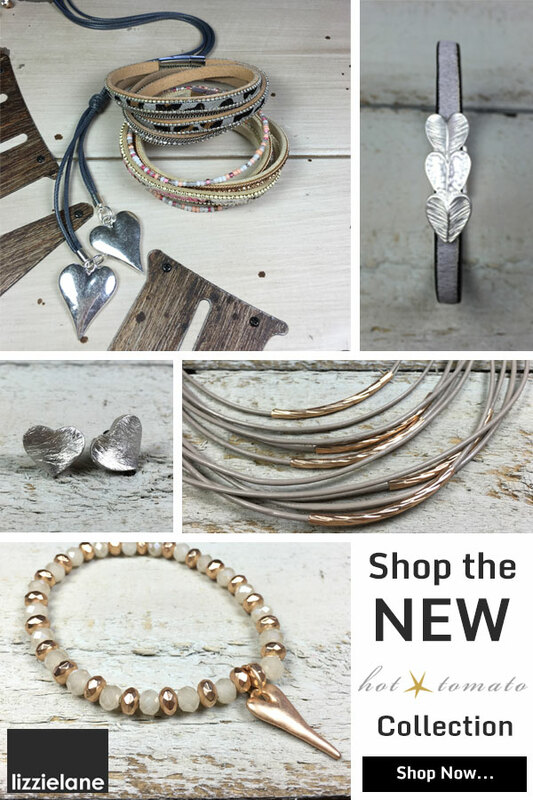 Until midnight 18th July we have something special for all customers old and new – Shop any of our gorgeous collections of designer jewellery and accessories and you’ll be able to take advantage of our Free Fast 1st Class Delivery! 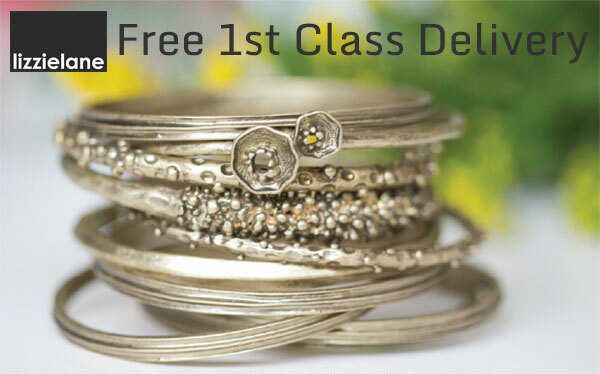 To claim your Free Fast 1st Class Delivery, simply spend £20 or more on any jewellery or accessories and then select “UK 1st Class” as your delivery service on our checkout page – But be quick, our Free 1st Class Delivery offer ends midnight Monday 18th! Free 1st Class Delivery ends midnight 18th July 2016 and is valid on all UK orders with a minimum spend of £20. E & O E.
We’re delighted to introduce the exciting new Crystal Collection from Danon Jewellery. Each exquisite piece in this designer collection features a multi faceted diamond coloured crystal set in a textured drop, with a softly hammered effect finish. 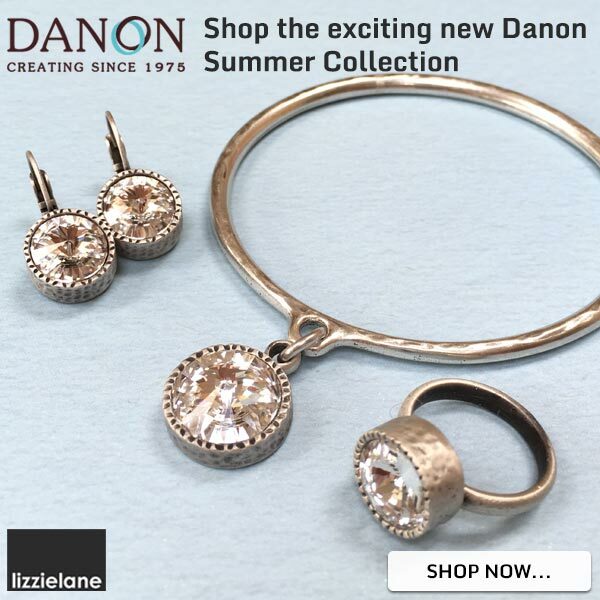 You will look amazing when you team the entire new Danon Crystal Collection together to add a hint of glamour and sparkle to your go-to jewellery for the Summer. Shop today and take advantage of FREE UK Delivery! Last Chance to Save – Ends Midnight Tonight! Perhaps it’s time for a well deserved treat for you or a loved one – Or maybe you’re looking for something to make your holiday outfits “zing”! Whatever the reason, shop Lizzielane Jewellery & Accessories today and when you spend £20 or more and use discount code PDJ16, you will save 10% on your total order…plus we’ll even ship your order for Free when you select UK Standard Delivery! Offer cannot be used in conjunction with any other discounts or offers • Voucher valid until midnight 30th June 2016 • Basket value must be £20 or more before discount can be applied.